The Nivia Black and White hand stiched football has excellent durability and shape retention and made-up of Shining Synthetic. 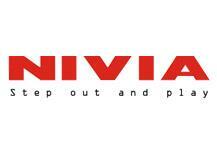 Nivia Black and White Size - 5 Football is Suitable for all kinds of Grounds-Hard, Wet and Grassy. Air Lock valve for air retention.